Why would I want your services? May I come to you for advice? What do I do to prepare for a session? What’s the next step if I’d like to explore working with you? Private sessions are held by phone or Skype. Phone charges are included in your coaching fee if you are in the USA. If you live outside of the USA I request that you either call me or download Skype (this is free at Skype.com) to via computer. You may opt for in-person sessions in Woodbury, CT at no extra charge. However, all in-person sessions must be scheduled for at least 45 minutes. I also offer a group options training as well as ongoing group healing sessions and practice sessions for students. These are generally held via conference call, which may be accessed by phone and internet. Individuals and organizations feeling stressed, who would like to find effective ways to manage their energy, which sustain them and help them achieve their visions. The Yuen Method is the resulting product of ancient Chinese Shaolin temple energy harnessing methods combined with the knowledge that anatomy, physiology, structural analysis, energetic techniques, quantum physics and Qi and Shen Gong collectively offer. The Yuen Method was created by Dr. Kam Yuen as a result of his lifelong study and experience with martial arts, nutritional therapy, homeopathy and in-depth experience as both a structural engineer and doctor of chiropractic. The underlying premise of the Yuen Method can be explained as follows. Your body is best thought of as a biological computer. It is a miraculous piece of high tech equipment and it is time we started treated it as such. But when you buy a computer or any piece of equipment for that matter, it always comes with a manual. Something that gives you directions on what to do and how to do it. And as they say, life comes with no manual. Or does it? Because your body functions much like a computer you are either on or off or, more specifically, “strong or weak”, to any given subject matter, person, or scenario in life. First, one must identify the root source that is causing that weakness. The Yuen Method provides a systematic process enabling you to use the insight you already have in order to identify the deeper core issue(s) that are related to the problems you may be experiencing in life. Is it only by precisely identifying the true root source of the weakness that it becomes an instant possibility to delete the physically manifested symptoms of that weakness as well as any related fears, phobias and/or limitations. Humans are multi-faceted beings with six levels of consciousness. We are multidimensional and thus need to utilize a multidimensional approach to our own health. That is exactly why the Yuen Method is both incredibly efficient and unique in that it works to ensure that all levels of consciousness are congruent so that weaknesses can be strengthened on all levels, enabling pain to be deleted and goals to be attained immediately. The Yuen Method makes it possible to strengthen our weaknesses and achieve our own infinite potential. Yuen Method and energy strengthening can assist you with many types of life improvement. Some are physical, some emotional and some may be related to improving performance (in business, sports or other areas) or breaking old patterns and habits. A session can relieve pain, assist you in ridding yourself of dis-ease of any kind as well as just relax or energize you. It can also allow the release of pent-up emotions and traumatic imprints, many of which exist at the subconscious and even cellular or more microscopic level. The methods I use produce a lighter, more “in-tune” sense of self, which seems to create more clarity, receptiveness to intuitive information, a sense of purposefulness, and connection to your spiritual source. Energy strengthening is also great to support life changes, like letting go of disempowering patterns or relationships, embarking on a new career or project, increasing the flow of abundance in your life, etc. The main purpose of each session is to help you unblock the flow of energy in your body and your life. Notice I said “you”. You are always in control, through a partnership between your physical and spiritual selves, of how much you are ready to delete. An unobstructed, strong flow of energy feels wonderful and may leave you with many or all of the benefits listed above. May I come to you for advice about what to do in my life? My role is not to advise or coach you. Only you know in your heart what is right for you in any area of your life. I can, however, strengthen you to connect with that knowing and delete any fears and other factors that can block your knowing and cause you to question. With Yuen Method and energy optimization** the results you seek may be immediate or they may take more time, depending on the type of blockages and issues involved, how many layers need to be worked through as the causes of the problem are sought and the lessons your soul is working through. It’s a good idea not to compare yourself to anyone else, and to simply enjoy the process without attachment to results or time frames. While it’s possible that the particular problem(s) you began the process to clear up take(s) a little longer than you thought, it’s just as possible for you to reap many unexpected benefits – like insight, joy and ease, and even the elimination of other problems – along the way. It’s also good to keep in mind that the problem you’re working on may have taken most of your lifetime (and sometimes many more lifetimes) to develop, so it’s only fair that you allow a little time for it to be unraveled. I encourage you to trust your body’s own innate wisdom and power (and we will strengthen this, too!) and be willing to fully acknowledge and feel your feelings. I guarantee you will feel a noticeable shift during your gift session. **Energy Optimizations is a trademark of Barbara Robins and Into This Moment Quantum Optimizations Training. 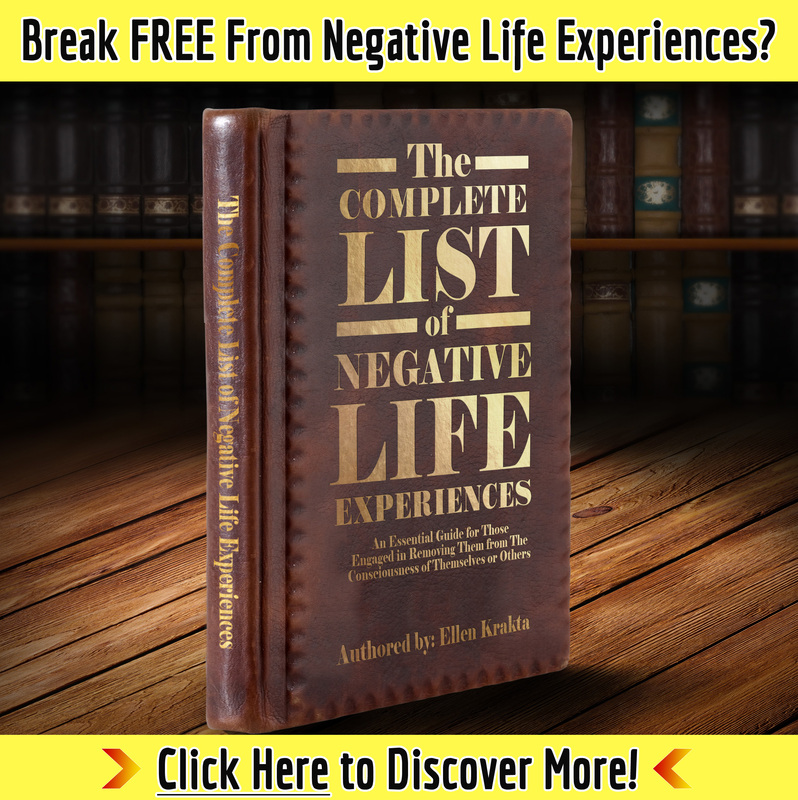 Many of the changes experienced – such as removal of the imprints of old traumas and other types of spiritual and mental experiences from your body, including those that have physical effects – are permanent. Once the imprint of a trauma is gone, for example, it’s gone. Then there are others – like strengthening the relationship of your spinal cord to the parts of your body, or increasing your level of fitness or structural integration to name some examples – that benefit from being repeated frequently because there can be many factors affecting them. During your session I will show you how to do this yourself. Come prepared with one or more problems you would like to address and/or things you would like to improve from any area of life – health, work/career/ business, relationships, money/finances, time/less aging, fitness/performance, spirituality, etc. – unless you would like me to determine your primary area of weakness and do whatever I can to strengthen it. Find a time and area where you will not be disturbed, have a comfortable, supportive chair to sit in (or you may lie down), have pen and paper to write down your “take-away” process, and have a glass of water handy. Let me know ahead of time if you wish me to record the call, in which case I will provide a conference number for our session. There is nothing else you need do. We will get through as many of the items on your list as we can in the time allotted, and in the order the weaknesses present themselves to me. Some people are done in one week, and others are looking for longer partnerships. I simply suggest that a client stay with me as long as they are seeing results and/or feel intuitively that it is right to do so! See the Current Offerings pages for information on various programs and fees. Feel free to contact me through the Contact page if you have questions. Please note: If you are grandfathered in at a lower rate you must have at least one session of at least 15 minutes every six months in order to retain your discount. If you are subscribed to my newsletter, Sacred Sharings, you will receive notification of new live classes (single and series) and coaching programs with their fees as they are offered. Payment is usually made by clicking on the PayPal Buy Now links found below the various offering descriptions. In certain cases (such as a lower rate or a different amount of time than is given for a particular type of session) I will send you an invoice after you have notified me of your intention. The invoice will arrive in the name of Healthy, Wealthy and Wise (my legal business name). Complimentary sample sessions are available to all (and only) those who have not experienced my work before in either a private session or a group class, teleclinic or demonstration. Refunds are not given for sessions. The purpose of the complimentary session is to be sure you feel that I am the right person for you to work with, before beginning work with me. So be sure to use that time to make sure you are clear on all our agreements and to ask whatever questions you may have. Email support to clients is a paid service. The time to be billed will include both my time reading and answering the messages (and any work performed). The only emails not billed are those requiring a minute or less to read and answer. I prefer to do sessions by appointment. If, however, you wish to take your chances you may call me to do an appointment at an unplanned time. If I am available to do the session I will pick up the phone and let you know how much time I have available at that moment. If I do not pick up the phone it is your responsibility to try again at another time or utilize the online calendar. I will not call you back to respond to a session request. For missed sessions, if I am told you will be missing a session 12 or more hours before it is scheduled there is no charge. If I’m informed less than 12 hours before, the first time there will not be a charge. After that (or if I am not informed at all) you will be billed (at your hourly rate) for 15 minutes of my time unless a medical or other emergency for yourself or a child or parent is the reason. If you arrive late your session must still be completed within the period of time allocated on my calendar. (A Session A block is allocated a half hour, regardless of the amount of time we have agreed you will pay for.) If you arrive more than 10 minutes late, because it is no longer possible to accomplish this within the time that is left, you will need to reschedule, in which case the missed session rules apply. Any discount you are offered is good for up to 72 hours after the time it was offered. Introductory discounts may be maintained in perpetuity as long as you purchase another session (or sessions) within 72 hours of the last session you received from a previous purchase at an introductory rate, and as long as you use the last session of whatever number you purchased within six months of the first one.